Hello everybody! Today we interviewed Pamela Young, who will teach yoga at the “Beyon asana: A moving meditation” retreat that will be held on September 24, 2017 in MasQi. Pamela’s technical training is Hatha Yoga in Ashtanga Style, and more recently, Ashtanga Vinyasa Yoga with world renowned teacher, John Scott. She considers herself fortunate to have studied with some great yoga masters including Donna Farhi, Ana Forrest, Michael Gannon, Matthew Sweeney, Sri Ramaswami, Venkatesh, Kino MacGregor, Basia Lipska, Hamish Hendry, David Keil, Richard Freeman, Manju Jois, Sharath Rangaswamy, Lucy Crawford, Greg Nardi and John Scott. As well as having an Honours Degree in Philosophy from the University of Glasgow, Pamela has over 20 years experience as a teacher and educator within the health and fitness industry. She is a REPs recognised Assessor (CYQ A1 Assessor within the Active Leisure Industry), Level 3 Yoga Teacher, and Les Mills ELITE BodyBALANCE Instructor. Her other certificates include an SYTA Teacher Training Certificate – Foundation, Hatha Yoga Ashtanga Vinyasa Style, Fitness Pilates, RSA Certificate in Teaching Exercise to Music, YMCA Exercise to Music, YMCA Aqua Exercise to Music, YMCA Step Exercise to Music, BodyCOMBAT, BodyPUMP, BodyATTACK, BodyJAM, BodySTEP, BodyBALANCE, CXWORX, BodyMAX, Cycle Instructors Track (QFF), Advanced Instruction Module (Fitpro), Les Mills AIM 1, CXWORX, TwentyFour Tabata, Zumba, Fitkid Health Related Fitness for Children and YogaBugs. I started practicing yoga around 2005. After a health crisis, yoga helped me re-establish my health and well-being. Esta entrada se publicó en ENGLISH y está etiquetada con Macrobiotic Retreat Spain, Pamela Young, Vegan food Spain, Yoga retreat Spain, Yoga retreats en 8 septiembre por admin. Hello everybody! Today we interviewed Kat Shaw, who will teach yoga at the “Beyon asana: A moving meditation” retreat that will be held on September 24, 2017 in MasQi. Kat Shaw has been practicing yoga for over 25 years and starts most days at home on her mat going through the Ashtanga Vinyasa yoga sequence. In her classes and workshops, she weaves in knowledge learned from her dedicated self practice, as well as information picked up from intensives and workshops with great teachers such as John Scott, David Swenson, Matthew Sweeney, David Williams, Chuck Miller, Maty Ezraty, Danny Paradise, Dena Kingsberg, Sarah Hatcher, Kino Macgregor, David Keil, Shiva Rae and Leslie Kaminoff. Her current teachers being Sarah Hatcher and Dena Kingsberg. Yoga lies deep in Kats heart. She is sensitive to the energy around, and an expert at holding a safe and supportive space where everyone can explore yoga with a sense of fun and adventure. Kat believes that our lives should be fun, and our yoga practice should reflect that. An experienced yogi and IIN Health Coach, she is positive, grounded, generous, intelligent and funny. When not on the mat, Kat is swimming in the sea, walking in the forest out playing in nature. 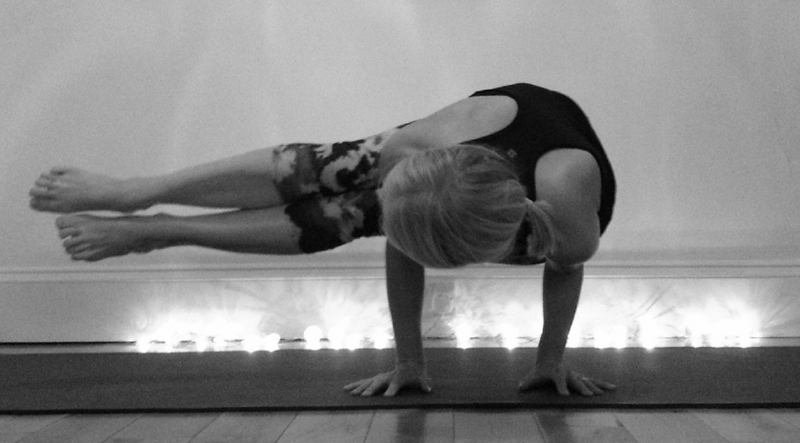 Kat Shaw: I was first introduced to Hatha yoga through my mother at age 8. I had breathing difficulties which Doctors coudn’t diagnose but natural movement did. Yoga and swimming helped which I was grateful for. I practiced till about 13years old then not until about 22years did I make it to a regular yoga class. At 8, I liked practicing yoga because it helped me breathe and I loved the meditation side of the postures, the stillness. Now, I love practicing yoga daily because of the benefits I feel from it like a sense of calm, greater sense of humour, a connection to Self, a greater awareness, a control over my thoughts and boosts my confidence all while keeping me grounded. Esta entrada se publicó en ENGLISH y está etiquetada con Kat Shaw, Macrobiotic Retreat Spain, Vegan food Spain, Yoga retreat Spain, Yoga retreats en 19 julio por admin.